Many read about the adventure that we had when traveling through Mier on Sunday May 15, 2011. On Monday Isaac and I returned to Mier primarily to talk with the “Presidente”. I wanted to let him know that we were continuing to pray for him and his city. It was also my desire to continue talking with him about Jesus and the finished work that he did on the cross for us. We crossed into Miguel Aleman around 2:00pm and continued on to Ciudad Mier. The two cities are only about ten miles apart but after the events of Sunday it seemed to take a long time to drive that short distance. When we arrived at City Hall it was not abandoned like it was on Sunday, but there was substantially less activity and fewer people than there have been at other times. After parking, we walked across the plaza and up to the offices. By this time it was 3:30pm. Normally that office is very active, with many employees doing a variety of tasks. Now there were three people working in the office. They told me that the “Presidente” was gone for the day. One of the men added that most people began to leave by 3:00pm. I added that little tidbit of information to my memory banks for future use and then walked back out to my van. As I sat in the van, I pondered the situation. I had really wanted to talk with Alberto and let him know we were praying for him. I was disappointed. Suddenly, I remembered that he had given me his cell phone number. I began searching for it—in my briefcase—among my papers—finally I pulled out my wallet. There it was stuck back in the corner! I excitedly dialed the number. No answer. A little later I dialed it again. He answered and then told me that he had been in a meeting before and couldn’t answer. We talked for a while. I let him know that we were praying for him. (I did not mention the events of Sunday to him. I felt like it would be unnecessary to burden him with any more difficult situations.) He seemed to sincerely appreciate the believers concern for him and his city. I closed our conversation as I usually do—I reminded him that if there was ever anyway that I could help him just let me know and that if it was in my power to do it, I would. Up until this time he has never told me about any needs that we could help meet. Today was different. He told me that there were a number of disabled people in the city who needed wheelchairs or walkers. The he added that if “you and the brothers” could bring five or six wheelchairs and walkers to help those who cannot get around, that would be a BIG help for those men and women. He also mentioned that there were about one hundred families who were without work due to the situation in the area and that they were having difficulty providing enough food to these families to keep them feed. I recently read in a publication written by the US government that the average family of five eats 23.5 pounds of food per week. For one hundred families that would be 2,350 pounds of food each and every week. I have been asking the Lord for an open door in this city and I believe that the Lord has just swung the door wide open and he used four simple words—how can I help? I will be returning to Mier the first week of June. It is now my prayer that that I would be able to return with at least five good quality wheelchairs, five good quality walkers, several sets of crutches (just in case they are needed) and no less than 2350 pounds of good quality foods that would provide well balanced meals for the families. Matthew 25:35-40 For I was hungry, and you gave me food; I was thirsty, and you gave Me drink; I was a stranger, and you took Me in; I was naked, and you clothed Me; I was sick, and you visited Me; I was in prison, and you came to Me. Then the righteous shall answer Him, saying, Lord, when did we see You hungry, and fed You? Or thirsty, and gave You drink? When did we see You a stranger, and took You in? Or naked, and clothed You? Or when did we see You sick, or in prison, and came to You? And the King shall answer and say to them, Truly I say to you, Inasmuch as you did it to one of the least of these My brothers, you have done it to Me. When we ask those four simple words, “How can I help?” we must be ready to put the required action behind them! Ciudad Mier is an area that has been impacted by significant violence. The new mayor said in an interview that he wanted to “change the image” of the city. The Lord has opened the door for me to meet with him and explain, with the Bible, how God wants to change not only the city but also his own life. I am finishing a book that I prepared for the Mexican military, who are risking their lives to help people to live in peace, and for people who have been affected by violence. It begins by explaining the need for us to overcome the bitterness and resentment, and explains how it affects our relationship with God and with others. It then proceeds to describe in detail what the Bible says about heaven and hell. The book ends by carefully explaining the plan of God for the salvation of men. Once printed, we will be distributing thousands of these booklets to the military and those affected by violence. I believe that God will use His Word, written in this book, to bring many to salvation through the knowledge of Jesus Christ. Besides these activities, we continue forward with our efforts to minister to Christian families through El Hogar Educador magazine as well as organizing homeschool conferences. We have scheduled conferences in Pachuca, Guadalajara, Saltillo and Sonora 2012. 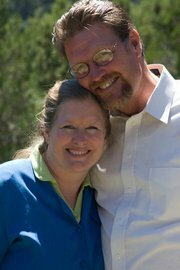 Many of you have heard that the wife of an American missionary was killed recently in northern Mexico. Some, perhaps many, have felt sorry for this family and the sacrifice they made to advance the progress of the gospel. Never feel sorry for a missionary, for those who come to fulfill the mandate of Jesus Christ to preach the gospel. We are where the action is really where God is working in the hearts and lives of people. We are living “Where the life and death, where sin and grace come together, where heaven and hell battle for the souls of men, where the living God is working his will in the souls of men. Wow. Your sons need to hear about this. Calling mine over now. thank you for sharing this, prayers for these people and for those who are seeking with a heart that yearns for God…bless you all!